Despite the challenges it has been facing since last year, Chinese giant Huawei Technologies Co fully believes in their capability to lead the development of the fifth generation of wireless technology (5G) in Southeast Asia, according to the firm’s regional chief. 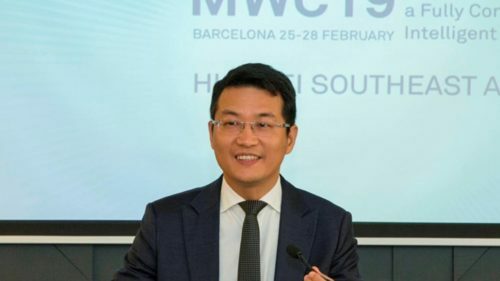 James Wu, president of Huawei Southeast Asia which covers 9 countries and 2 autonomous territories, namely Thailand, India, Vietnam, Myanmar, Cambodia, Laos, Bangladesh, Sri Lanka, Nepal, Hong Kong, and Macao, said at the Mobile World Congress2019 (MWC19) that the firm experienced “encouraging growth” in the region last year, and would continue to digitalise people's life through leading innovations. “Our carrier business remained stable, and our enterprise business and consumer business both grew superbly,” he said. Wu considers Southeast Asia as a great engine that connects innovation and business. “We are trying our best to bridge the digital divide in Southeast Asia through innovation, and address telecom issues that are unique to the region. To develop the digital economy in the region, we are collaborating with partners to build a digital ecosystem,” he said. Last year, the firm introduced its CloudAir technology to solve high costs and low utilization rate of the LTE spectrum, a move that ensured 40 per cent extra bandwidth and improved user experience. It also introduced 5G microwave in India, which doubled the spectrum efficiency of wireless transmissions. Huawei provided digital transmission infrastructure to Thailand PEA to accelerate its drive towards digital transformation, and kicked off its first international cloud service center in Hong Kong, with another following shortly after in Thailand. The local service centers provide one-stop, full-stack cloud infrastructure to speed up the digital economy. Last year, its local procurement topped US$608 million in the region. “We stand ready to contribute to a digital economy and intelligent vision in Southeast Asia. We are leveraging our strengths to improve talent development, ICT promotion, and disaster prevention there,” he said. The firm developed more than 8,000 ICT talents in the region through its OpenLabs, ICT training, scholarships, competitions, and Seeds for the Future programme. Its digital training bus in Bangladesh delivered ICT knowledge to the doorsteps of women across the country, educating more than 16,200 women.